Who are you going to call when it comes to professional pallet racking installation, relocating or servicing your racking system? The outcome if you call the wrong rack installer (often the cheapest), is highly likely to be the wrong outcome. Why not run a few prudent checks before you allow installation work to occur under your watch? Adequate Public Liability Insurance cover? Your property, your landlord’s property, your neighbour’s property and all persons who may come in contact with installers are covered by our Public Liability Insurance. Contract Works Insurance? Our tools, our plant, our equipment is all covered by our own Contract Works Insurance while it is on your site. Without this insurance, you could be responsible for covering any loss of your selected installer’s equipment. Professional Indemnity Insurance? When dealing with Elbowroom, you are comprehensively covered by our extensive knowledge base and expertise when offering our advice. You are additionally covered by our Professional Indemnity Insurance. Elbowroom maintains extensive and current Workers Compensation and Superannuation coverage on all employees. In some cases the “Principal” (that’s you) can be held responsible for non-payment of entitlements to contractors’ employees. will conduct themselves in the safest, most informative and most professional manner at all times. Elbowroom covers you in every respect whilst engaged by you. We guarantee.. You actually can trust us! 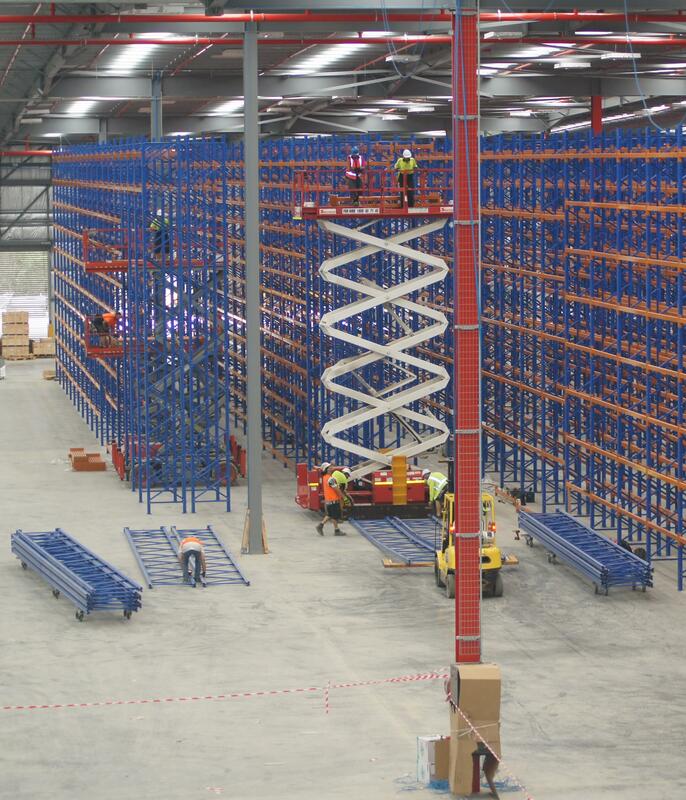 All warehouse and workplace installations of Racking, Shelving, Compactus and Storage Systems. All brands, including Colby; Brownbuilt; Dexion; Schaefer; APC; Stow; Acrow; Spacerack; Macrack and many others.